Luigi Production born from an idea of ​​Luigi Pistillo. Composer, Orchestrator, Guitarist, Producer, Arranger, Teacher. Graduated with honors in the music conservatory. He studied in two prestigious Italian conservatories: Ferrara for Jazz Guitar and Pescara for Contemporary Writing & Arranging. He studied with some of the best teachers in Italy: Angelo Valori, Roberto Spadoni, Mike Applebaum, Teo Ciavarella, Maurizio Rolli, Paolo Silvestri, etc. Multifaceted musician has numerous live collaborations, over 1000 gigs in Italy and Europe including Bracco Di Graci and Maler with whom he has participated in important events such as the Premio Tenco in Sanremo and the Mantova Music Festival. He is part of the Producers team of the American company Big Citi Loops (worldwide brand for the production and distribution of Loops, Sounds, Drumkits, etc.). 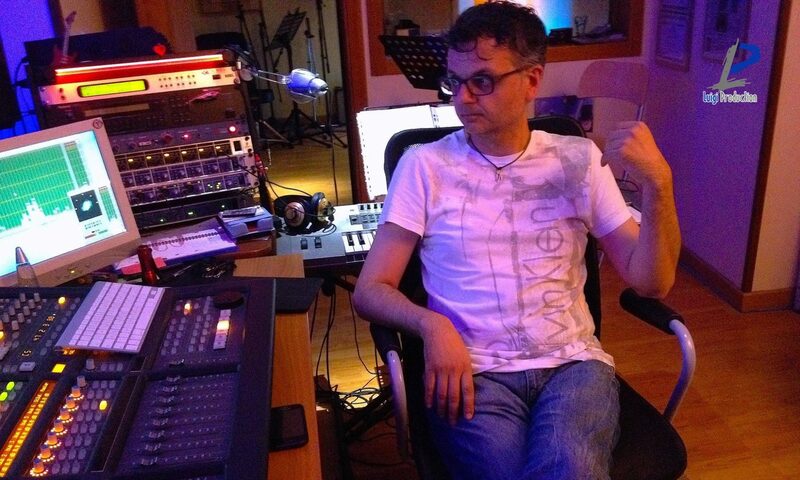 His productions are distributed on the prestigious Sounds and Producerloops portals. Also intense activity in the recording studio where he often plays the role of composer, producer and arranger, as well as guitarist. The album “A Sud Di Nessun Nord” by Antonio Pignatiello is considered one of the best albums of 2015 among Italian singer-songwriters. He produced Antonio Greco and the young and talented Anna Teresa Rubino. Together with his fraternal friend and producer Matteo Passarelli he works as production consultant and arranger of Orpheus Music Production. He arranged and made guitars for several artists including Ilaria D’Andragora, Maddalena, Luca Orlando, and others. He has created as a player the guitars for many artists from all over the world including HAMZA HAWSAWI, MICHAEL DONABY, ALEX PSYRRAKOS, Matteo Livia, Xena, Cecilia, Ivan Bellini, Bracco Di Graci, Toni Augello, Tammy, Gabriele Torrente, Eb Ram and many others. Also active as a teacher as a modern guitar teacher at various facilities such as Auxing, Mad Mattinata, etc..He is columnist for Guitar Praxis.